fever chills like a paisley shawl. a spirit veil, wet lace. the goods I didn’t have. whistles shrilled and every flag blew out. Thank you, Petteri, for the use of your work, illustration and inspiration, as always. pileup on the lost highway. just made it look cheap. Brian's grabbed the mic today to get us to tackle the topic of mass media, mass communication, etc. 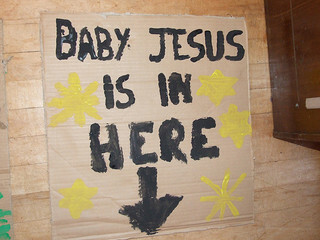 I think all my regular readers know just how much I love the Xmas season, so that was where I went. for gold to brighten its rippling scales. to grind out all you love. withering in a wind of empty hours. had frozen on his tongue. Kerry O'Connor has asked us to write around the subject of alternative worlds. Here I've reached into the the realm of Norse myth, and as usual, taken a few liberties with the tales of the Old Gods. Hel-shoes (helskór) were put on the Norse dead to walk the road to the Otherworld. 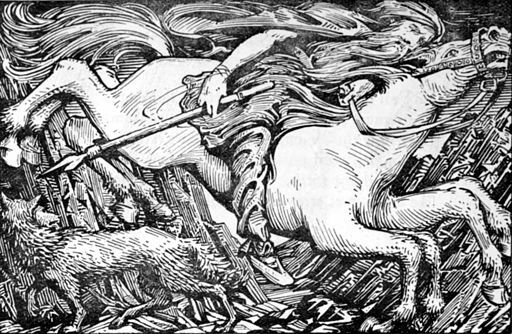 Sleipnir is Odin's magical eight-legged horse. * I probably ought to add that following the events of Ragnarök, the völva also prophesies that a beautiful new world will emerge, where men and gods live in peace and plenty. Some believe that this a post-Christian introduction, but regardless, it satisfies the happily ever after need we humans have.